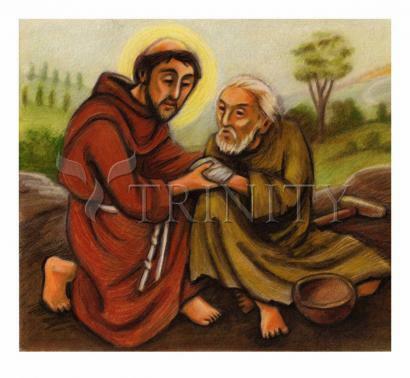 “Formerly Francis could neither touch nor even look at lepers; indeed, his aversion to them was so strong that if by chance he happened to pass anywhere near their dwellings or to see one of the lepers, he would turn his face away and hold his nose. But, strengthened by God’s grace, he was enabled to obey God’s command and to love what he had hated: what had been so repugnant to him had really and truly been turned into something pleasant. Francis now abhorred the riches that he had hitherto wrongfully loved.